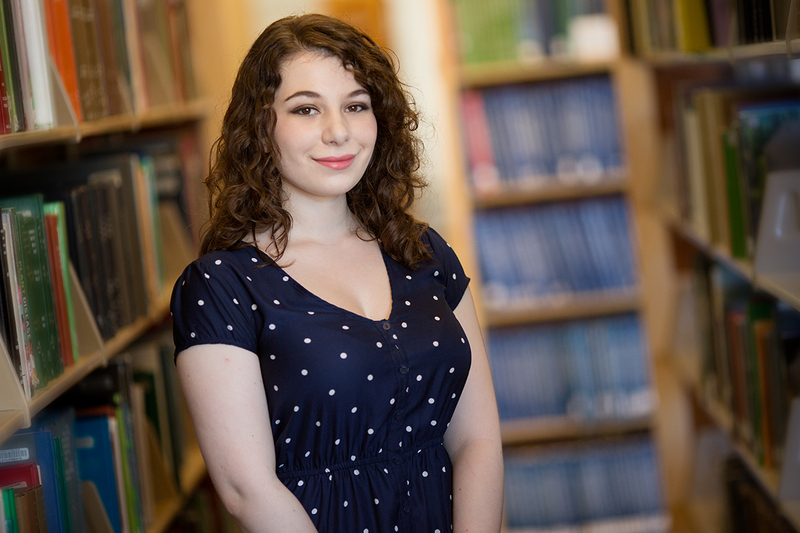 Mylissa Zelechowski, who says English “is where I’m meant to be,” has interned writing for a video gaming company, and sees numerous career options ahead. English professor Christopher Freeburg, who teaches American and African-American literature, tells his students the same thing. The skills that are the “bread-and-butter” of an English degree – in communication, writing and critical thinking – are also at the core of success in most jobs, he said. Even in many technical fields, the people often making an impact “mainly have to go through our skill set to do it.” A similar case could be made for other liberal arts degrees, he said. Students may study English for the love of literature and its challenges, but too often they aren’t aware of the specific and valuable skills they’re learning at the same time, Freeburg said, and that’s something he’s working to change within the discipline. “For me, what’s important is for the students to know what they are supposed to be able to do better at the end of the course in specific ways,” he said. One prime example is how Freeburg deals with questions in the context of class discussion – teaching students how to ask them, refine them and resolve them in multiple ways. In the process, they’re also learning to analyze difficult material and develop their own voice. “To me, there’s no greater intellectual gift that you can have than that, and there’s no greater practical value than that,” he said. It’s practical because it’s working through problems, and that’s a key part of most jobs, he said. Even if English majors are learning real-world skills in the process of learning literature, however, they need to make the transition to work. And finding the right resources and advice can sometimes be tricky, said Kirstin Wilcox, a lecturer who specializes in 18th-century British and American literature and also serves as the department’s internship coordinator. That means students need to start early and take the time for exploration – through internships, jobs, organizations and interests – to learn more about both their particular strengths and “what the world out there needs,” she said. They also need to appreciate that their career-planning process in college may not be as linear as it is for many students in programs like engineering or business, she said. With those things in mind, Wilcox develops and coordinates internships for English majors. Zelechowski is one of those who has benefitted, landing a writing internship with a local video gaming company. Wilcox also maintains a website, “Making the Most of Your Major” (publish.illinois.edu/englishadvising), and has developed short courses for different stages of career planning.